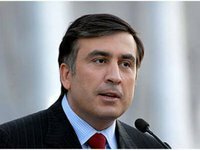 The head of the Mostysky Border Detachment decided to ban former Georgian President Mikheil Saakashvili from entering Ukraine until February 13, 2021. The response of the first deputy head of the State Border Service, Vasyl Servatiuk, to the request of Saakashvili's lawyers, which the politician's lawyer Ruslan Chernolutsky handed to Interfax-Ukraine, states that the Administration of the State Border Service considers this decision fully in line with the requirements of the current legislation of Ukraine. The State Border Service noted that the readmission of Saakashvili on February 12 was conducted according to a standard procedure, since he illegally stayed on the territory of Ukraine after courts ruled he should leave the country. Chernolutsky noted that Saakashvili's defense team considers this decision of the State Border Service to be illegal and intends to appeal against it.